Data Maturity before Digital Maturity - Eric D. Brown, D.Sc. I recently wrote about Digital Maturity vs Digital Transformation where I proclaimed that its more important to set your goal for digital maturity rather than just push your organization toward digital transformation initiatives. In this post, I want to talk about one of the most important aspects of digital maturity: Data Maturity. 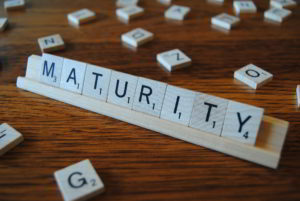 Before you can even hope to be digitally mature, you must reach data maturity. where the data came from? where is it stored (and where has it been stored)? how it will be accessed? who has had access to it over its lifetime? what type of data is it? if personal data, what types of permissions do you have to use it? when was the data collected? when was the data last reviewed? when was the data last accessed? how do you know the data is accurate? There are many more questions to ask / answer in the ‘who, what, where, when and how’ universe, but hopefully you get the point. If you can’t answer these questions to build up your data’s “metadata”, then you haven’t reached maturity. Data maturity requires proper data governance, data management and proper data processes (see previous writings here on those topics). Like I’ve said before, i’m not an expert in these areas but I do know good data management when I see it – and most organizations don’t have good data management practices/processes. Data Maturity is more than just technology initiatives though. Its more than having the right systems in place. Data Maturity requires organizational readiness as well as technology readiness; and the organizational readiness is generally the harder of the two data maturity paths to complete. I’m not going to get into organizational readiness vs technology readiness in this post (I’ll save it for a later post) but just know that there are a lot of parallel paths (and sometimes perpendicular paths) that you need to take to get to digital maturity – and data maturity is one of the important aspects to focus on while working toward that digital maturity goal. Are you working towards data maturity along the path to digital maturity? Previous Post Digital Maturity or Digital Transformation? Thanks a lot, the best articles, I just downloaded it to my computer and read it every day!! !